Home > We’re coming for you Karratha! The Chevron City to Surf for Activ hits its final regional target of Karratha this Sunday. The annual family friendly initiative, produced by the community for the community, takes to the start line at The Quarter shopping precinct and heads north on Long Back Road with a quick scenic tour past Back Beach, before finishing back at The Quarter. More than 350 Karratha locals are anticipated to walk, run and roll the 4km and 12km courses, while raising vital funds for Activ which finds employment and housing for people living with a disability. Joining locals at the 4km start line will be Spirit FM’s breakfast radio presenter local voice and funny man, Pablo Miller, along with our 2018 Activ All Stars Mia Rodriguez, Christie Erenshaw, Paul Mitchell and Raziel Rodgers. If you’re up for a bit of north-west sunlight and in the spirit of fun-raising, we encourage you to get active for Activ. All you must do is dust off those running shoes and register online at chevroncitytosurf.com.au/Karratha before 12.00pm August 11, or register in person at the Race Bib Collection located at The Quarter (corner of Sharpe Avenue and Warambie Road) between 9.00am and 5.00pm on Saturday August 11. In addition to celebrating getting active for Activ in the Pilbara, event partner Chevron will stage a City to Surf for workers on Barrow Island – home of one of Australia’s largest resource facilities. Located 60 kilometres off the Pilbara Coast, eager site-based personnel will take part in a 4km or 8km walk or run around the Chevron-operated Gorgon plant site.  The 2018 Chevron City to Surf for Activ is the association’s largest annual fundraiser, providing valuable programs and services for thousands of people living with disability. The Karratha Chevron City to Surf for Activ is the final regional event in the series, with Perth gearing up for August 26.